The Heart Sutra has just been deciphered. As a result, the message has been announced from inside EMPTINESS to all over the world. EMPTINESS has universality as well as absoluteness, and can be the central thuoght of world permanent peace. Summary of "the code has just been deciphered, the Heart Sutra"
Heart Sutra of Buddism,Truth of "EMPTINESS"("KUU", an­d "Sunyata"), The wisdom of Prajna paramita, meditation to "KUU", and Permanent peace. We human beings are now in confusion and aspiring a new value system. We are required to build a true cosmos based on “the Principles of the Cosmos” in this 21 century. “The Great Concept”, which has been derived by love of “Transcendent Being” is to achieve a permanent peace of the world with complete harmony between ‘individual’ and ‘overall’ by integrating a variety of human race, thought, religion、and value systems. 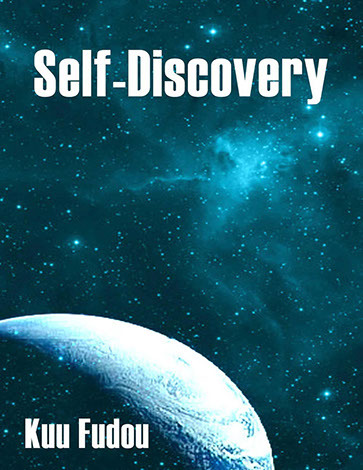 The principle and methodology to carry out these missions is exactly “Self-Discovery” proposed by the author, Master Waro Iwane. How about joining this trip to attain your true self and carry out your true mission together with us? It is you to express “the Grand Concept” concretely. It will start from around you. What is your identity which you are recognizing as yourself? Who are you on earth? Where did you come from and where will you go? Where is here? By whose will were you born and will you die? One is all living with such fundamental questions and is eager to know clear answers even if by unconsciousness. These questions will be all solved by reading this book. © 2015 Kembunsha All rights reserved.